What is your recommendation for setting this up when someone needs to make multiple reservations for a group on the same date using more than one Groupon? I can’t seem to get it to work smoothly so I could use some help. Thanks. 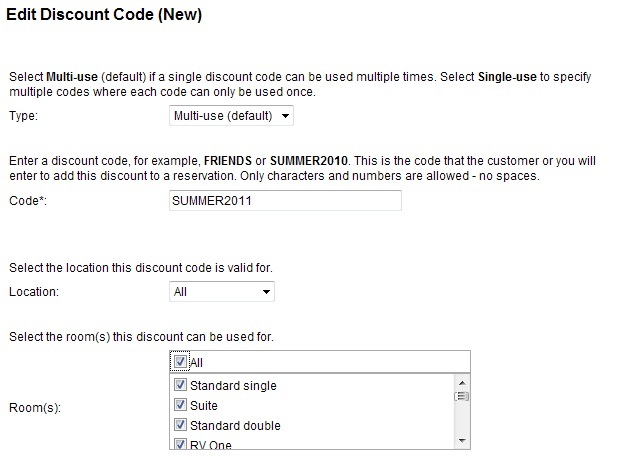 The discount code field will allow for multiple groupon codes at the same time. Each code should be separated by comma. Just checking… if a customer enters a discount code that covers their entire balance, is there a way to process the reservation without requiring them to input a credit card number? Yes, you can turn off credit card requirements under Setup – Business Information – Payments. Thanks Martin. We’ll give it a try and let you know how it goes. 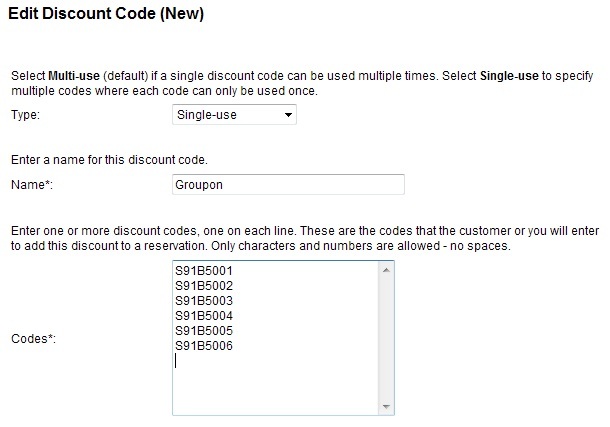 Any limitation on how many Groupon codes we can upload into the system? Hello Kathy. No there is no limit to the number of groupon codes that you can upload.